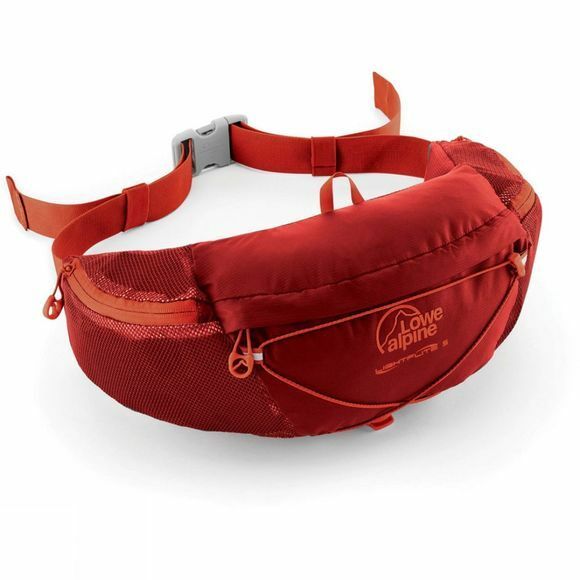 The Lightflite 5 Belt Pack from Lowe Alpine is a belt pack that is perfect for running and lightweight hiking. It has features such as a reflective front bungee that allows for additional external storage of essential items for when running. The belt pack also has 2 fast access mesh pockets for items such as a bottle or gels you may need when running. The daypack also has a padded wicking back meaning that it will keep you comfortable for as long as you are running or hiking!